Every year, in conjunction with the Genoa Boat Show an interesting meeting on interior design takes place at the Italian Yacht Club (YCI) and as a journalist and architect I cannot miss it. I must say that the meeting was very pleasant and stimulating, safe from the crowd visiting the nearby Boat Show where the 286 footer "Maltese Falcon" amazed thousands of more or less competent visitors with her grandeur and her square rig, which appealingly reminds of ancient sailing vessels. For the most curious readers the boat was named after the homonymous movie directed by John Huston starring Humphrey Bogart. Anything may be said about the boat except that she is not noticeable and this feature is a non-trivial sign of a philosophy and reveals Mr. Perkins' - the Owner - and the designers' wishes. 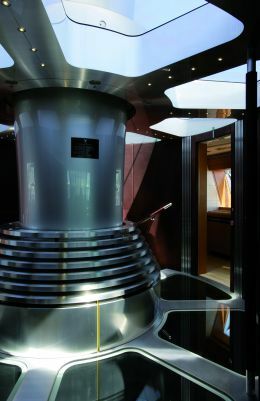 The "Maltese Falcon" interiors were styled by Ken Freivokh, a professional architect with multiple inventiveness at the head of a group of designers specialized in the design of yachts, architectural projects, jets and other special projects. Are we confronted with a new Leonardesque renaissance? His design team seems to interpret the needs of persons, their wanting to "fly in different skies" by exploiting at the most their possibilities. Definitely we are not in front of an architect's styling exercise aiming at deeply marking the physical reality by adding his signature near or over other signatures. I would have liked to ask Ken Freivokh a few questions on this subject but I withheld my thoughts and kept meditating on the many interesting ideas put forward by the various speakers. The meeting is over and we go downstairs to the jetty. The sun is warm and an excellent buffet lunch is being served in the pavilion in the discreet and hospitable atmosphere of the Club and of its Ligurian cuisine. I feel content but when Mr. Freivokh kindly tells me: "You've taken many notes, haven't you?" I find myself inevitably talking with him and asking him a few of the questions I have at heart. Our conversation continues by cable. This interview concentrates on the professional experimentation of Mr. Freivokh, not only as a great designer but also as a man greatly fond of the sea and of boats. 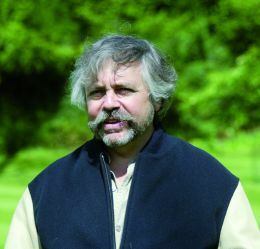 Architect Freivokh, you are a man with a nice and informal look but your professional education and culture are complex. What can you tell us about them? What influence had the places where you lived: first Los Angeles, California where you were born, then South America where you grew up and lastly Southern England where you live and work today and where, by the way, yachting was born? Which is the path followed by your career? Which significant factors or encounters led the path of your professional activity, which is so diversified today? Each place connected with different experiences and stages of design development - early schooling in US, engineering and architectural studies in Peru, Environmental design and Industrial Design at the Royal College of Art, London. Together with an increasing interest and participation in yachting whilst in England led naturally to combine design background with love of the sea and yachts. Boat-home and home-boat are two "casings" which allow living on land and at sea. You and your team not only design boats but also traditional architectural projects. Do you think there is a substantial difference in approaching these two fields? I believe the essential structure of design, the essential thought process and intuitive approach is very similar whether designing a teaspoon or a skyscraper. The analysis of the brief, understanding of the requirements and options, the establishment of priorities, testing of early models against the functional and aesthetic brief, the development of a unique concept in response to the clients wishes - plus something which cannot be so easily described, but I guess comes from a designer's innermost make-up and experience. Where I believe an issue arises is if a particular designer chooses to design a yacht as if it was a house, cottage or palace - it is not, and I do not believe that such approach is acceptable - however, it is seldom if ever questioned. In the case of Maltese Falcon, the interior is not only unmistakably the interior of a yacht, where all key elements - the hull shape, the portlights, the structure, etc. are all expressed, not hidden, but also it is unmistakably the interior of a machine - a transportation machine. A boat is an object designed to sail. 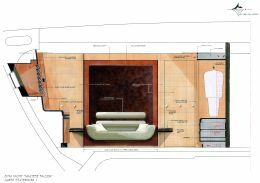 How would you define, as regards design, the problems found in conceiving the outer hull and all its equipment and the ones found in conceiving the interior intended to host persons and their activities? I believe that both aspects are interlinked, and should not be viewed separately. I find it quite bizarre that so many owners may specifically request, for example, an English Club traditional and heavy raised and fielded treatment for their high performance ultra-light racing yacht. In any event, exterior and interior should be inextricably linked - the interior is just the other side of the same hull, of the same superstructure, of the same portlight. You are an enthusiast sailor and have participated in many races for years, from the 1979 Fastnet race to the Channel crossing. Do you own one or more boats? How is she/are they? How has this passion influenced your work and your life? It is very strongly linked, and clearly leads to a greater interest and better understanding of what the whole affair is about. That said, design is a discipline, a process and a passion in itself - as an industrial designer, I was very proud to resolve elegantly and efficiently the design of a cigarette rolling machine, even though I only smoked a pipe at that time! How would you prefer the style of your designs to be defined: as a significantly mature phase after an extensive working experience, something like a signature that can be recognized as yours, or as the capacity and energy of interpreting every time a new work as a music director of an orchestra? Definitely the latter. A signature is an indication of imposing a common solution to different problems. My approach to design is every time to go back as far as possible to first principles, to question the accepted norm and to think out of the box. Why does a conventional tea pot have a spout that attempts to pour tea from the bottom, and a milk jug from the top? Is that the right way round? What kind of relationship do you establish with the Owner or with the client in general? How important is the fact that the client must know his own mind? Which are the main qualities of a good designer? Big questions. Clearly, a friendly relationship of mutual respect is a great starting point with an owner - and if such owner is not so prone to change his mind constantly, it clearly helps by providing a clear direction and preference. I believe the good designer may inevitably bring something from within to a project, but first and foremost, he is there to interpret the owner's wishes and requirements. What relationship exists between interior design and interior decoration, I mean between construction details and decoration ultimately using real masterpieces? Do you think the interior artistic mark should be born together with the design or should it be created later on, depending on the Owner's needs and his art consultant's advice? Definitely it is best if the whole painting or work of art is by the same hand, or at least the same design team - the formal approach to shapes, proportions, etc cannot be successfully independent from the colours, the textures, the feel - it is a total single design. Wood, metal, glass, simple plastic or noble polymers, which of these materials do you like best and what do you expect from them in the different parts of a yacht's interior (bulkheads, stairs, elevators, windows, floors, ceilings, containers, shelves)? I like to experiment, and not necessarily accept that leather is for upholstery, glass for windows or even that lights should only be in walls and ceilings - on Maltese Falcon we had strategically placed lights in the leather and glass floors. I am generally not so keen on imitations, however practical, so perhaps need to be persuaded to use resin imitating granite or marble, laminates imitating wood, polymers imitating polished metal or chrome. However, that is perhaps a handicap. Do you believe in lighting design for yachts just as for houses? What is your opinion of it? The principles are the same - except yacht projects may offer a greater opportunity to experiment with more technical lighting sources - LEDs, fibroptics, electroluminescent panels, different voltages. Technically, the yacht will pose further requirements, for example in connection with emergency lighting, night lighting. In both cases, a good designer will use lighting as an integral part of the tools available to model the space, the mood, the character of a space. Paintings, sculptures, carpets, mosaics, antique furniture, silk, leather, velvet, cotton, wool, custom built or production furniture: which philosophy lies behind the interiors you design, the hidden mixture of features you prefer and for which you are so much appreciated? As above, they are all part of what is available to a designer to achieve his creation - they should all be used in harmony to achieve the required design effect. Considering a yacht's structure and decoration, which are the potentialities of using glass instead of other materials to obtain brighter interiors? Do you like the way glass seems to be perfectly tuned in to water? Absolutely - on one of our latest 50m designs, we are using glass for the bulwarks (external parapets), so guests can enjoy a full view of the water in safety. Recent developments allow the use of glass even where a one hour fire separation is required, or as a safety layer to protect a portlight instead of using steel. Let us talk about the "Maltese Falcon". A Perini hull is a perfect "casing" or better a sublime shell for a designer. Which are the variations on the theme that inspired you for the styling of this masterpiece? Which are the main features of this extraordinary and extremely modern yacht that nonetheless reminds us of old times? Actually, yachting is like a "young man" little more than a hundred years old and when seeing the "Maltese Falcon" from outside for the first time one is led to think of Herreshoff. In my opinion, the fact that the Owner had previously sailed with Herreshoff's "Mariette" is significant. When looking to the future, does one necessarily need to look back? I would only say that in design terms, it is possible to talk of absolutes which are not trends of the period. Proportion, for example, is totally fundamental and a cornerstone of design - that has not changed over the ages. The same can be said of colour. Obviously, the use of natural materials, such as wood, leather and a concerted effort to achieve the correct balance and contrast are all values which will stand the test of time. The Falcon additionally is today's interpretation of an old concept, but interestingly, one that could not have been possible before the age of composite technology, and particularly carbon. The list of boats you designed is considerable and is reported in the box, such boats differ widely from one another; in your work do you think of carrying out a research study that not only involves the technical aspects but also the artistic intuition? Technical aspect and artistic intuition must come together for a truly successful project - and a fresh approach to any and all projects bringing both aspects together has resulted in diverse and unique solutions, in each case marrying both form and function. You also design jets: which is the common aspect with yacht design? It is more restricted, and therefore the opportunities are spatially less extensive - a private jet such as a Global Express or a G5 is essentially a tube, and the permutations are small due to forced limitations related to escape routes and other considerations. In most cases, the designer is also restricted to the use of approved designs for the divans, the seats, etc. To attempt to certify a new design would be too expensive and time consuming. Your personality as a designer impresses for the grandeur of experimentation, which appears as a swollen river, your personality as a man strikes for the calmness and simplicity. Which is the work that satisfied you the most as a designer and as a man? Being given the opportunity to truly create, to innovate, to experiment. I do not enjoy any type of repetitive work to an accepted formula. 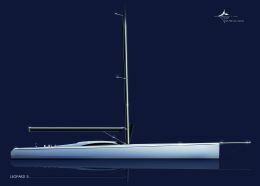 In your opinion, which are the prospects of yachting? I believe it will be increasingly difficult to innovate, and more and more design responsibility will be taken over in house by the large and established yards, who will prefer to control all aspects to avoid unexpected issues during the build. This will inevitably be coupled with increasing legislation and controls. I will enjoy the present will I can!